With the rise in nuclear families, one really misses the joy of living with our grandparents. When parents need even more love and care, we decide to separate from them and live in our own busy world. The increase in old-age homes is an alarming sign that people are slowly losing respect and compassion towards elders. This unjustness needs to change because a grandparent is the greatest gift that one can ask for. Sadly, we see millennials getting separated from their parents immediately after marriage. Thus, a grandparent doesn’t get to spend time with his grandson. His longing to be with him remains unfulfilled. But whenever they meet, for a grandparent, it is a moment of a lifetime. A touching video has recently gone viral which beautifully captures this emotional moment. A Twitter user, Angad Pal Singh, shared a video of a grandparent meeting his grandson, and the reaction on grandfather’s face is priceless. 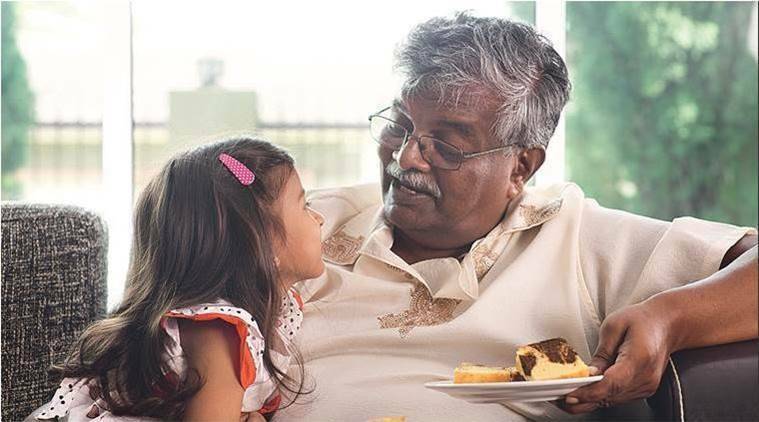 Grandfather meets his grandchild for the first time and his love for the kid is limitless. You had tears in your eyes. Right? Living in such insecure times where families don’t talk to each other, this video makes us realize that love is all we need. The Twitterati went emotional too. Yup! I never got the love of any of my grandad’s 😕 i now seek that in my Father. I so much craved for that grandpa love since i was young. Thanks for sharing boss.. really touching..this got me into tears..since my mother won’t talk to me and won’t see my 8 months old daughter..
Love of grand parents and associated emotion is priceless. One can’t have unless you one of luckiest. Respect! Still remember the day I left home for studies, my GrandMaa burst in tears. At the end of the day, it is all about loving your family. Poonam Pandey Bares It All In A Steamy Bathtub. Check Out Her Post!